Theresa May has made many unsupported claims about the EU’s Withdrawal Agreement. This article shows that the Agreement contradicts at least seven of her assertions. In reality, the WA binds the UK indefinitely to the EU in a subordinate position, and removes its parliamentary and legal sovereignty in an unprecedented attack on our democratic rights. Theresa May’s draft Withdrawal Agreement conceals within its prescriptive EU prose provisions that would suspend parliamentary democracy over a vital range of laws and policies indefinitely. This can be explained by a point-by-point examination of what the Prime Minister claims the Withdrawal Agreement does compared with what it actually says. 1. The PM says we will leave the Customs Union and be able to diverge from EU regulations. The Withdrawal Agreement says we will remain in the Customs Union as a non-voting country during the transition period. We will collect customs duties for the EU as we do now and allow the EU to decide our trade policy with no right to be consulted or to vote on any trade remedies it sees fit to take. These could encompass sanctions and quotas which harm British producers and consumers. During the transition period, we must follow all EU rules for “goods placed on the market” (Art 41) – so not a Common Rulebook as stated in the Chequers White Paper, but the EU’s rulebook in full, although we will have no say in the making of those rules. So far, so simple. We then get to the Protocol on Northern Ireland, otherwise known as the “all-UK Customs Union backstop”. Except that it isn’t. It is in fact a dangerous trap which carves out Northern Ireland from the rest of the United Kingdom and removes all scope for independent action by the UK in a whole raft of key economic areas. Let’s deal with Northern Ireland before we expose the fallacies about this wrongly-described “customs union”. The backstop provides for a “single customs territory” between the UK (including Northern Ireland, the Channel Islands and the Isle of Man) and the European Union (Protocol Art 6(1)), but at the same time keeps Northern Ireland within the EU’s Union Customs Code and Single Market and thereby fully subject to EU law and the jurisdiction of the ECJ (Art 6(2)). 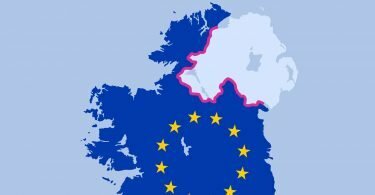 Article 9 obliges Northern Ireland to implement EU law on VAT and Excise (thus creating a tax border between Northern Ireland and the UK) and Article 10 forces it to follow EU law on the environment (setting another major regulatory barrier between the Province and the rest of the United Kingdom). All these provisions completely negate Theresa May’s assertion that there will be “no border in the Irish Sea”. Indeed, the backstop in Article 7(2) actually envisages the possibility of controls at ports and airports for trade between Northern Ireland and the rest of the UK. This Protocol creates the very scenario the Prime Minister said she could never accept and which the “all-UK Customs Union” backstop was supposed to avoid. Let’s look at the backstop in a little more detail. First, it is not optional. If no trade agreement is reached which comes into force between the UK and the EU by the end of the transition period on 31 December 2020 (and that is very unlikely given the usual snail’s pace of such trade negotiations with the EU), the Protocol kicks in automatically with no requirement for a vote in Parliament or a even decision by the “Joint Committee” (see below). And there is no escape clause: “The provisions of this Protocol shall apply unless and until they are superseded, in whole or in part, by a subsequent agreement.” (p.307). The Protocol allows the UK and Ireland to “continue to make arrangements between themselves relating to the movement of persons between their territories (the “Common Travel Area”) (p.309), thereby making much of it entirely unnecessary in relation to avoiding a return of the Troubles in Northern Ireland. Governance of the backstop remains with the unelected and unaccountable “Joint Committee” established in the Withdrawal Agreement – and through these means, the EU gains for the first time a direct role in the government of Northern Ireland. Art 13(2) states: “The Joint Committee shall keep under constant review the extent to which the implementation and application of this Protocol maintains the necessary conditions for North-South cooperation.” Since the Joint Committee is 50% comprised of representatives from the European Commission, the EU’s role in managing the affairs of Northern Ireland is thereby formalised. And we know that the EU never surrenders a competence once it has been acquired. Northern Ireland thereby becomes a Province of the European Union, separated from the UK by a judicial, fiscal and regulatory regime. There are more nasty surprises in the small print. Even though Northern Ireland remains subject to all EU rules governing the Single Market and Customs Union, Article 8(3) specifically excludes the recognition by the EU 27 of “technical regulations, assessments, registrations, certificates, approvals and authorisations issued by … the United Kingdom in respect of Northern Ireland… or by bodies established in the United Kingdom”. 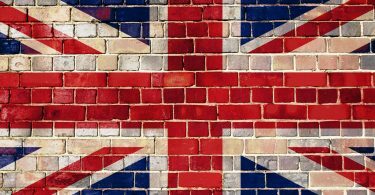 The UK thus loses the right to regulate goods manufactured in Northern Ireland. This is of critical importance when it comes to aircraft manufacturers and aerospace firms, effectively handing regulatory control of important parts of the UK’s aviation and aerospace sector to Brussels. In addition, the makings of another horse-meat scandal lie within the refusal to allow the UK in regard to Northern Ireland to “initiate objection, safeguard or arbitration procedures” against regulatory bodies in other EU member states (p.316), which would mean any fraudulent goods or food produce imported into the rest of the UK through Northern Ireland and certified in an EU member state could not be properly investigated. Let’s look at some of the other general clauses in this Protocol, most of which have nothing to do with management of a “single customs territory” and everything to do with preventing the UK from exercising its economic independence to compete with the EU. The restrictions on trade policy are clear enough. Annex 2, Art 3 requires the UK to “align the tariffs and rules applicable in its customs territory” with the EU’s Common Customs Tariff, rules on the origin of goods and on the valuation of goods. Article 4 continues the surrender to vassalage. The United Kingdom “shall harmonise the commercial policy applicable to its customs territory with the common commercial policy of the Union”, enforce full alignment with the EU’s concessions and tariff rate quotas and implement the EU’s trade sanctions, and it shall have no say in the making of decisions regarding these policies and sanctions. Under Annex 4/Article 1 the United Kingdom must transpose certain EU directives on taxation into domestic law, and bind itself to follow EU rules on business taxes (so a competitive tax regime is quite definitely off the table). This includes transposing EU directives on the regulation of credit institutions. The City is handed back to Brussels on a platter. Economic surrender couldn’t be more complete. Could it? Indeed it could. The lengthy and very prescriptive Annex 4 (pp. 354 -380) of the backstop also obliges the UK to comply with wide-ranging “non-regression clauses” on environmental standards for goods, emissions, labour and social rules as well as the EU’s prescriptive rules on State Aid, dominant market players and competition. We are not to give British businesses a competitive advantage against those in the European Union. We are even required to replicate the EU’s carbon pricing scheme. None of this has anything to do with management of a single customs territory or the avoidance of a hard border in Ireland. It is an obligation to implement in full non-tariff barriers and EU rules governing our economy over which we will have no say whatsoever. The EU has even sneaked in control of UK agriculture through the backstop. On page 364 we find that an “independent authority” with “powers and functions equivalent to those of the European Commission acting under the Union State aid law provisions” will be established “for the full application and the effective enforcement, in accordance with Article 7(1), of the Union State aid law provisions” (p.364). This catch-all governs the level of subsidies the UK is allowed to provide to UK farmers, which must be set strictly in accordance with a formula worked out under Common Agricultural Policy rules. Just to make sure that the UK is caught in the web for good, Article 20 provides that the backstop can only be ended with the agreement of the EU through the Joint Committee, with the added lock of allowing the Irish government to be consulted, thus providing Ireland with an effective veto on the UK ever checking out of Hotel Europa. So, that’s everything then… state aid, taxation, labour and social policy, environmental standards, commercial policy, competition, “Union concepts” (whatever they may be), rules on goods, regulation of the City… Is there anything Mrs May forgot to give away? Answers on a postage stamp, please. The final irony (or insult) comes in Annex 3/Art 4. You probably assumed there would be the free movement of goods within the “single customs territory”. Think again. The lengthy provisions of this annex mandate the creation by the EU of something called an “A.UK Movement Certificate” which must be used for all goods exported and imported between the UK and the other parts of the “single customs territory”. These ensure the same kind of customs procedures and checks that would be applicable to trade with a third country apply between the EU and the UK, except there is no collection of duty. So presumably we will end up requiring movement certificates between Northern Ireland (in the EU’s Customs Union) and the UK (in the “single customs territory”), for goods sent to the Continent from Ireland via the UK land bridge. 2. The PM says we will take back control of our money. The WA says that we must apply EU law on VAT (‘EU own resources’), customs duties, excise and indirect taxes, and provide funds to the EU budget in accordance with the current budget plan until December 2020. This sum has been generally estimated at £39 billion. It is money for nothing. However, there is an additional and unquantifiable bill hiding in Article 140. “The United Kingdom shall be liable to the Union for the United Kingdom’s share of the budgetary commitments of the Union budget and the budgets of the Union decentralised agencies outstanding on 31 December 2020 and for the United Kingdom’s share of the commitments made in 2021 [i.e. AFTER we have left the transition period] on the carryover of commitment appropriations from the budget for 2020.” And there is no saying when these liabilities will end. Art 140(5) states that: “At the request of the United Kingdom, made at the earliest after 31 December 2028, the Union shall make an estimate of the remaining amounts to be paid by the United Kingdom under this Article”. In effect, Article 140 appears to be a licence for the EU to run riot with the UK’s credit card and commit as much money to as many programmes as possible before 31 December 2020, while we will have no vote on any spending decisions taken. And during any extended transition period, Article 132, 2 (d) says that “for the period between 1 January 2021 and the end of the transition period, the United Kingdom shall make a contribution to the Union budget.” This sum will be decided in secret by the Joint Committee with no reference to the UK Parliament, taking into account the UK’s ability to pay. Doubtless a formula based on a percentage of GDP, as now, will form the basis of calculations. In addition for more “money for nothing” during an extended transition, the UK will incur annual liabilities for EU pensions (for all EU nationals, not just British citizens who have worked for the EU), sickness benefits etc. for the lifetime of all the individuals entitled to said pensions. At the going rate of £15 billion per year for our annual contribution, financial liabilities could top £150 billion during a protracted transition and backstop. There would be no incentive for the EU ever to let us go by agreeing a free trade agreement. These sums will resulting from ongoing liabilities will be calculated solely by the EU and sent as a demand to the “Joint Committee” and must be paid without the consent of Parliament (or indeed the UK government of the day) being required. In Article 36 we also promise to align our social security systems in accordance with existing EU regulations and adopt any modifications to those regulations even after we have left the EU. This ensures that we continue to send benefits to EU citizens who have moved back home, for years after they have left the UK. Under these articles it appears that we will never regain control of our money. 3. The PM says we will be an independent nation. It is hard to understand what part of Article 127 of the Withdrawal Agreement Theresa May doesn’t understand. Article 7 deprives us of our rights in any decision-making bodies. This means obeying EU laws on goods, standards, regulations and (crucially) implementing new EU laws – so a rule taker, not a rule maker. Under Article 156 during the transition period we must pay our contribution to all European defence structures and agencies in pursuit of the EU’s Common Foreign and Security Policy, but we will not participate in any programmes or operations or have any say in the policies being pursued. In effect, we would be legally bound to pay for a European army which might pursue actions directly contrary to our security interests. We are also obliged to continue paying our contribution to European space projects like Galileo whilst being unable to bid for contracts in such projects. 4. The PM says we will leave the jurisdiction of the ECJ and regain control of our laws. The EU will be able to prosecute the British government and businesses for breaches of EU law in the UK even for a period of 4 years after we leave the transition period. (Art. 87) This includes prosecuting the government if the EU considers we have underpaid our budget contributions. Fines can be imposed and judgments must be enforced by UK courts. Article 15 of the backstop provides the same for key areas of economic policy, as discussed above. Since EU law and any new EU law made during the transition period applies in the UK as though we were a member state, we could even be forced to implement new EU legislation that is highly detrimental to our interests – for example, an EU Financial Transactions Tax which would decimate the City (the EU’s projected take on this tax was around €80 billion per annum in 2011, 90% of which was to come from the UK financial services industry). Plans to bring in the FTT as part of the EU’s ‘own resources’, have been revived only this year and are strongly supported by France and Germany. Under Article 129 we will be bound by and must implement external agreements entered into by the EU and its member states without being consulted on them (refugee quotas, anyone?). Article 155 says we must continue paying for the Turkey refugee scheme. 5. The PM says we can make new trade agreements. The WA generously allows us to talk to third countries about new trade agreements during the transition period but they cannot come into force until after it ends (p.4). They of course remain impossible if we enter the ‘single customs territory’ backstop, as explained above. During the transition period and/or backstop we may not vary any part of the EU’s Customs Tariff nor must we, ‘in the spirit of sincere cooperation’, take any steps to give ourselves an advantage over the EU through non-regression clauses and state aid rules. The EU, however, may enter agreements with third countries which give access to our markets, with the UK having no reciprocal rights to access those third country markets. 6. The PM said we would take back control of our Fisheries. The WA says that we will leave the decision-making bodies of the Common Fisheries Policy, but during the transition period Article 130 allows the EU alone to decide on fishing quotas in UK waters, with the UK only having the right to be ‘consulted’. Fisheries have been set down as a negotiating point for the future relationship (p.311), where the EU expects to obtain free access to UK waters. 7. The PM said in her Chequers White Paper that Parliament could veto EU laws it didn’t like (and take the consequences). She still says we will ‘take back control’. The analysis above proves the contrary. But the Withdrawal Agreement also contains the time bomb which destroys parliamentary sovereignty and puts the UK in a quasi-colonial position. As usual with EU documents, it is very cleverly disguised in the small print of the seemingly innocuous governing procedure for the entire agreement, which covers separation issues, the transition period and the backstop (Arts. 164-179 and pages 560 – 585). Since it is made quite clear throughout the Withdrawal Agreement that European Union law will apply, the only arbiter will in all cases be the ECJ, which can enforce whatever it wants on the UK. Legally binding and enforceable decisions over huge areas of policy in the United Kingdom can therefore be taken by an unelected committee whose proceedings neither need to be made in public or made public. And if that isn’t bad enough for day-to-day business, Article 132 allows this secretive Joint Committee, not MPs in Parliament, to decide “before 1 July 2020, [to] adopt a single decision extending the transition period up to [31 December 20XX].” In other words, the unelected Joint Committee will have the unilateral right to decide in secret to keep the United Kingdom in perpetual vassalage to the European Union. British citizens will become permanently disfranchised under this agreement. The Joint Committee is invested with the sole right to implement and enforce the Withdrawal Agreement as well as with the power to extend the transition period indefinitely or to decide to end the backstop. There need never be any further reference to democratically elected members of Parliament. The author is a published historian and has direct experience of the matters covered in this article. Art. 12 Magna Carta forbids the imposition of taxes without consent. Art. 14 Magna Carta requires the convening of a Parliament to obtain “the general consent of the realm for the assessment of an aid” (i.e. no taxation without representation). Art. 13 Magna Carta guarantees to the City of London “all its ancient liberties and free customs”. Art. 61 Magna Carta establishes a court of barons to enforce “the rights and liberties” granted under the Charter to which all “free men” had access. The barons could seek redress on their behalf against the King. 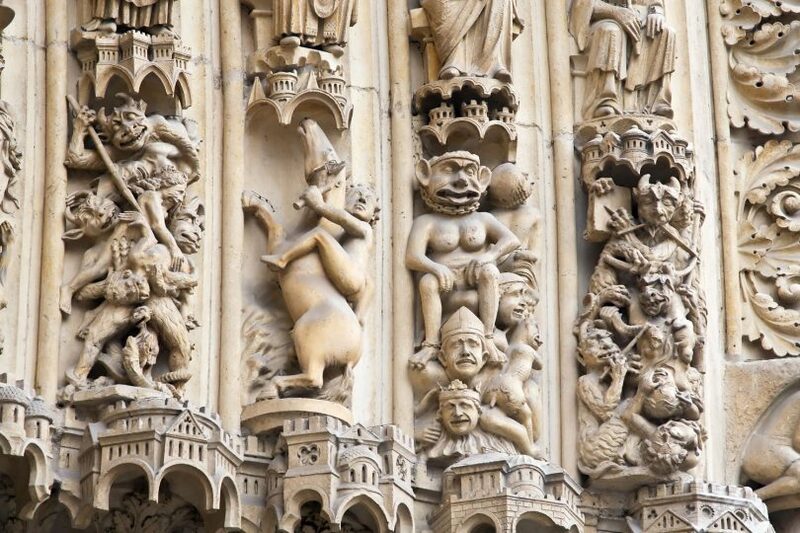 This was the founding of Parliament.